AMDA | AMDA News - It's a 4th Emmy Award Nomination for Jesse Tyler Ferguson! 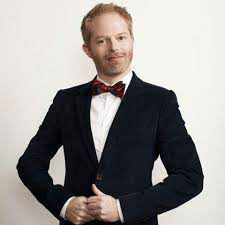 AMDA Congratulates Alumnus Jesse Tyler Ferguson on his 4th Emmy Award Nomination for Best Supporting Actor in a Comedy Series! AMDA graduate Jesse Tyler Ferguson has been nominated for a Primetime Emmy Award for the fourth year in a row. Jesse plays Mitchell Pritchett on ABC's hit TV series "Modern Family." In addition to his work on the show, Jesse recently played the role of Dromio in the prestigious Public Theatre production of A Comedy of Errors for the 2013 summer season of Shakespeare in the Park in NYC. This was his fourth Public Theatre production to date. Tune in to ABC to watch the Emmy Awards on Sunday, September 22nd.